We hope you already have a copy of Good Things for a Full Life in your hands. “Good Things for a Full Life” is now available in paperback or Kindle version from Amazon.com and Indiebound.org. We also encourage the support of local, independent booksellers, like Deb’s local bookstore in Glen Ellyn: justthebookstore.com. If your local bookstore does not have Deb’s book in stock, please ask if they can order it for you. Even if you don’t yet own the book, we encourage you to join the conversation about achieving a full life. To get you started, below is Deb’s introduction to the book, followed by a short preview of each section. The chapters in each section are titled with “one-liners” Deb commonly uses when coaching others to achieve their goals. We’ve even included the full text of a few, select chapters—along with a series of “Good Questions” designed to challenge your thinking and nudge you to action. Here on the website, we hope these questions will prompt you to share your responses, observations, and wonderings with the rest of the “Good Things” community. Let’s use this virtual discussion to make “Good Things” happen! When my son Matt was in elementary school, he introduced the concept of “good things” as part of our nightly dinner table conversation. Each person had to say one good thing that had happened that day. “Good things” became an important family tradition. Although some balked when it was their turn, we began to appreciate the opportunity to connect with and learn more about each other. Because we knew we’d have to report to the family each night, we intentionally looked for “good things” each day, and that fostered in all of us a positive outlook on life. So Matt gets credit for giving us a healthy discipline, and for the title of this book. Positivity is a big part of who I am. Some might say I’ve had a charmed life.While I am grateful for my many blessings, I firmly believe that my good fortune has not come through sheer luck. I have made choices, honored commitments, and been humble in asking for feedback and help. So, when I began to think about what it takes to have a full and satisfying life, I realized that there are people and principles that have shaped my thinking and approach. This is the substance of the personal and leadership development workshops I facilitate as part of my consulting business. And now it is also the core content of this book. None of what you will encounter in these pages is earth shattering. It’s just commonsense stuff that works. Good Things for a Full Life is based on the framework I use to create a yearly Individual Development Plan (IDP)—for myself as well as for the professionals I coach. My framework includes sections common to many development plan formats: an overarching theme for the year; goals and actions aligned with that theme; individuals who will serve as accountability partners for goals; and milestones/measurements. 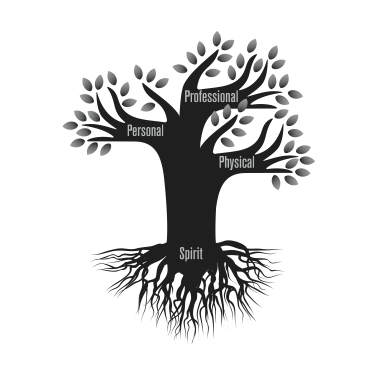 Throughout the book, you’ll see the repeated image of a tree, which illustrates how these four elements work together in a full life. 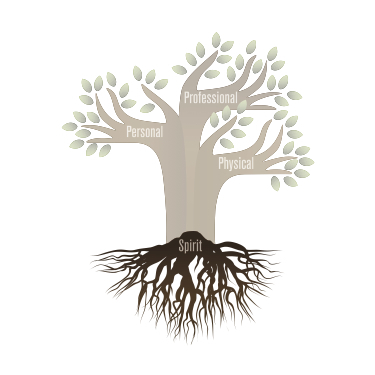 Good Things for Your Spirit are represented by the roots of the tree, as a healthy spirit is necessary to feed and support all the other areas. 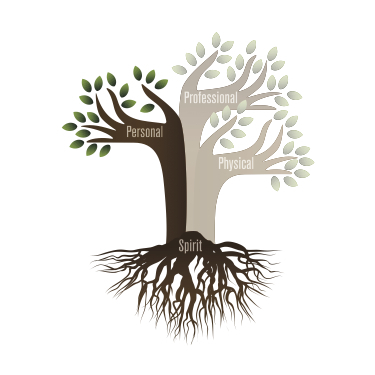 The Personal, Professional, and Physical aspects of a full life are shown in the lush foliage of the tree’s canopy—where we bear fruit and grow upward and outward over time. My hope, as you read and reflect on Good Things for a Full Life, is that you will find a few items that make sense and inspire you to take action to create a full and satisfying life for yourself. Each chapter starts with a headline I commonly use when coaching others. (My friends and family members have heard some of these one-liners so often, they occasionally toss them back at me.) Under the headline you’ll find an image or a short reflection by someone who’s been an important part of my life. Next, you’ll find a few paragraphs from me, articulating the wisdom behind the headline. And finally, each chapter closes with a series of “Good Questions” to challenge your thinking and nudge you to action. Take your time. Read the chapters in order or pick and choose at random. I hope my examples and the insights from other contributors will spark your thinking about your own life. I hope you discover what a full life means to you and how you can be more intentional in creating that life for yourself. Let’s go make “Good Things” happen! The headlines and stories contained in each chapter set a foundation for living a full and satisfying life, while also applying to the other areas of a full life: Personal, Professional, and Physical. And neither can you. It simply is not realistic! In fact, this popular concept of “balancing” work and life sets us up for failure and frustration. It implies that work and life are somehow separate; they’re not. It suggests that you can achieve perfect equilibrium between time at work and time outside work; you can’t. It assumes that there is one “equation” that will work for you for your whole life; there isn’t. As your life evolves, different parts of your life will hold greater weight over other areas. Instead, consider what you want your life to be full of. Work? Family? Friends? Exercise? School? Volunteer activities? Travel? Something else? Make a list. Then, look at the list again. Is there anything you’ve forgotten? Is there something you love to do, but haven’t had time for in awhile? Add it to your list. Think about the choices you make with regard to work.cAre you the one who’s always asked to stay late, finish others’ tasks, or take on extra assignments? If you haven’t given other priorities enough weight, you may have allowed work to take over your life, and will need to add other commitments that will pull you away from work. Join a gym or sign on with a personal trainer; volunteer somewhere; start a book or dinner club; take vacations. Be sure it’s your list—things that fulfill you, that nourish your spirit. Not what others need in their lives. Not an agenda dictated by how “they” think you should spend your time. Only you can determine what you need to be satisfied. By choosing how to spend your time and energy, you will feel a greater sense of control over your life, experience more satisfaction, and be less reactive to the whims of others. You will be better prepared to weather the ups and downs of life. Your energy and satisfaction will not be tucked into an isolated pocket of work, home, or family, but shared across your full life. What do you want your life to be full of? Why those things? Are those things present in your life now? Why or why not? What can you do to incorporate more elements of your full life now? 7. What's your biggest fear? 12. Someone needs to be the big person, how about you? The chapters in this section are designed to inspire you to get the most out of your Personal life—to appreciate the sequencing of your full life and your relationships with family and friends, and to enhance your engagement with the world around you. Things change as we get older. Each decade brings experiences, wisdom, challenges, and opportunities for growth. When my children were young, I invested a great deal of time and energy in them, trading off volunteer activities and graduate school. Once they were older and more independent, I was able to invest more of myself in other activities. During their teenage years, when they needed to assert their independence, I was glad to have a “full life,” because I didn’t define myself as just their mother. My sense of identity and satisfaction came from multiple sources: work, family, friends, and not-for-profit work, to name a few. Because I had other areas of focus, I was able to navigate those teenage years with more objectivity, which served us all well. I was able to view that time as just one of the chapters of our life together, knowing there would be many more to come—that this wasn’t the end. I kept things in perspective. My children tell me now that I set an example of what their lives could be: a mix of work, family, and volunteer activities, all of which are important. They have begun to approach their own lives as a series of chapters full of good things. So, begin to think of your life in five-year chapters.What you need in your full life at age twenty-five may be very different than what you need at thirty-five or forty or fifty-five. As you near the start of each new chapter, take time to realign your priorities so you are ready to turn the page. What chapter of life are you in right now? What parts of your full life are your top priorities in this chapter? What activities and people require more of your attention now? Which can take a back seat? What will you do to navigate this chapter with objectivity and perspective? These chapters speak to you at work—how to add value, deliver results, develop strong working relationships, and achieve greater satisfaction. While in our mid-twenties, my husband and I moved to Boston so he could attend graduate school. Unable to find a teaching position, I had to repackage my experience and skills in order to be considered a viable candidate for jobs in the business world. So many talented people with so much valuable experience are vying for positions in virtually every field. To land a role, or even just qualify for an interview, you must be able to articulate the value you bring to a particular position. What knowledge, experience, skills, and perspective do you bring to the table? If you don’t know or can’t express the answer to this question, you’re at a disadvantage. Seek out a friend or career counselor to help you repackage your experience and skills so potential employers hear a solid answer when they ask why they should hire you. What are the top three skills you have that would be of value to an employer? 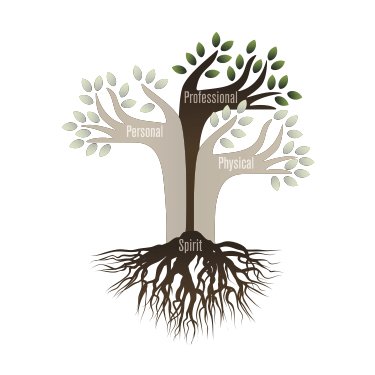 What expertise and knowledge to you have about your chosen field? How have you added value to work or volunteer assignments in the past? 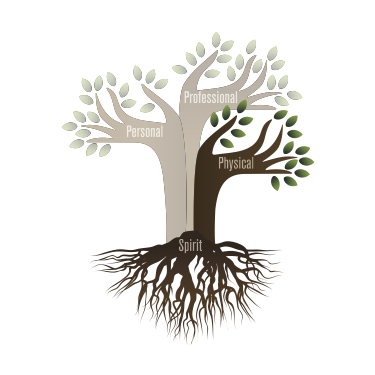 This section addresses your Physical self—how to nurture and care for your body throughout your full life. Most of us take great care of our valuable belongings. We keep our cars fueled and tuned. We change furnace filters and have ducts cleaned. We properly store lawn mowers and snow blowers. We’ve invested money in all this equipment, and we want it to work effectively when we need it. We care for our assets. My dad was a dedicated husband and father. He worked very hard to provide for his family. He always put his family’s needs before his own. Yet he didn’t take good enough care of his most precious asset: his health. He was overweight, rarely exercised, and suffered from high blood pressure and stress. When he died of a massive heart attack at the age of fifty-three, he left my mother and three young children at home. Losing my father when he was so young had a profound impact on me. He was no longer there to mentor me, he wouldn’t know my children, and he wouldn’t be able to celebrate the accomplishments of my life. I made a vow to practice self-care so I would be able to live a long and healthy life. And especially since I turned 53,I consider every day a gift— not to be wasted. Eat food that is healthy fuel for your body. Utilize sleep to restore and replenish your resources. Instead of thinking of exercise as a chore, view it as required maintenance. Take advantage of regular doctor visits. Consider them tune-ups. Take good care of your most precious asset, so it will work effectively when you need it. How do you practice self-care for the engine that is your body? How do you sabotage your health? Why do you do that? How can you incorporate self-care into your weekly routine? What do you need to stop doing? What do you need to start doing? Deb Hornell is a visionary whose personal brand of “Cultivating Environments for Growth” extends into her consulting practice, her family and friendships, and her book: "Good Things for a Full Life."